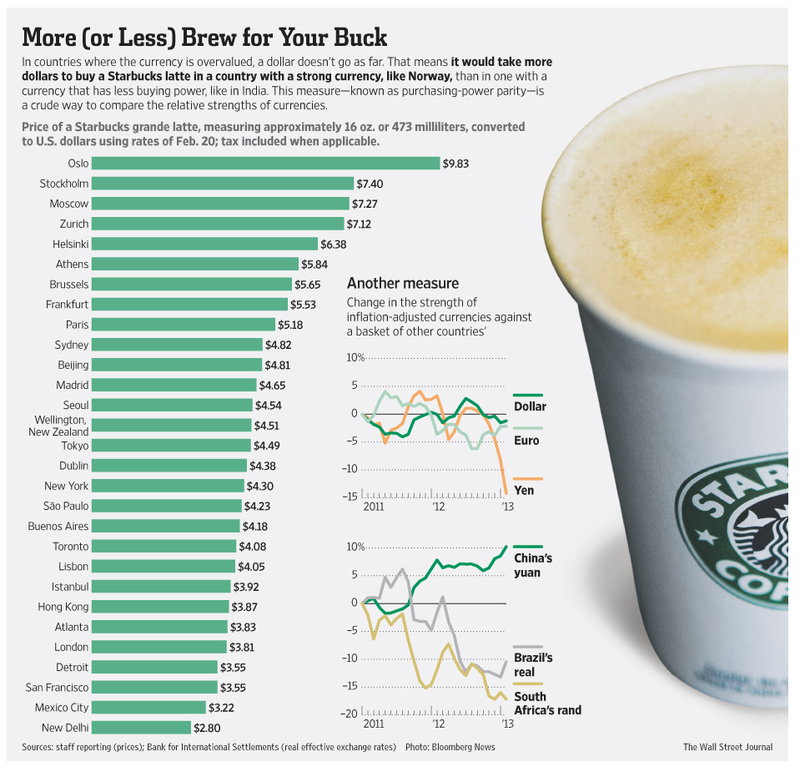 Starbucks is definitely premium coffee, here in Asia. For a caffeine enthusiast, he has a wide set of options for picking the coffee that suits his preferences and his budget constraint. He could start off with $1.20 coffee at the local coffee shops/hawker centers, graduate to $1.50- $2.50 at the local coffee chains and then finally move on to $4-$10 coffee at the premium chains like Starbucks, Coffee bean etc. 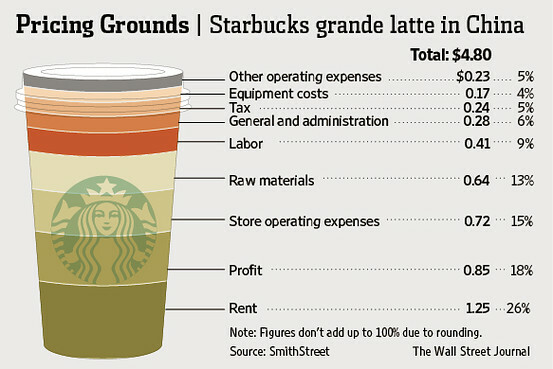 Why do people pay so much for Starbucks? 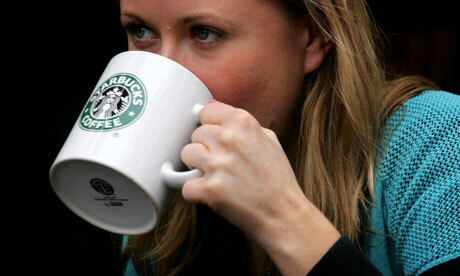 For a long time, the price premium ensured that Starbucks attracted only the right set of customers. Working busy people who are loyal and visit frequently, and are willing to spend on the overpriced coffee and the sandwiches. Rentals at prime locations are expensive thus a steady customer segment is crucial for their operations. Recently, I noticed a trend in Singapore, with students flocking in coffee chains like Starbucks, Spinneli and Coffee bean, and spending extended periods of the day with their pile of notes. An opportunity to avail the undisturbed ambiance for a small premium, seems to justify their behavior. The once loyal customer segment is frustrated by the lack of space each time they visit their favorite outlets. Singapore is a small country after all. The outlet managers are worried by the drop in sales and often prompted to chase out the students for space, who in a few years could have been potential loyalists. So how can Starbucks manage this situation? Let's first look at Starbucks' objective. Drive sales and profit. Simple right. If you look at a typical coffee drinker, he starts off his day with a fresh brew, has another after his lunch, and maybe one more in the evening. Even though Starbucks offers the ocassional salad, Brownies and pastas, it's not your typical restaurant. Thus it needs the students, writers, bloggers and web designers during the lean periods of the day. So let's think of a solution. In a perfectly effecient world, the best strategy would have been charging customers two components, price for just the coffee and a usage fee (by mins/hours) for the experience, both priced at a slight markup above their marginal costs. However it's impossible to do that in a real world. It's a cafe not a hotel. Can we design a more realistic solution to realize similar outcomes? For a start, since customers are willing to pay a premium for the "Starbucks experience", take outs should be priced cheaper than normal. For instance a Decaf Latte selling earlier at $5, now goes for $4.50 at the take out counter whereas it sells for $6 inside. The take out price captures the first component as in the efficient case. This lower price also means the marginal coffee enthusiast has yet another reason to choose premium coffee over the cheaper local alternate, trading off few minutes of in-house seating to drinking it outside or most commonly at his desk. The premium customer who decides to drink it inside is also generally the one more inelastic to higher prices, thus is also expected to order more of the sides driving more revenue during peak periods. He inturn should continue to be rewarded with loyalty points and gift cards. As discussed earlier Starbucks has an extended period of lull in a day where a "happy hour" or "student discount" pricing should help increase occupancy and sales. However certain seats should be reserved and redeemable against their loyalty points by premium customers. Above seems like a long winded solution but we still haven't figured a way to charge the customer proportional to his time spent. A few years back Starbucks gave out session hours to their free wifi network based on the bill spent. However tethering has ruined this elegant method. And it anyways never worked for the tradition reader/student who could still function without internet. So can you think of a better way? Do drop your comments. Thanks. Why do we leave tips for some service but not for others? It has become customary at most places to leave 15-20% of the total bill as a tip for good service at restaurants. But it is illegal to tip some service providers. For instance, the clerk at your immigration office. If we go back, tipping in restaurants originated to induce better service. Restaurant owners are willing to reward attentive and courteous servers, since better service leads to repeat customers. And the reward incentivizes waiters to put in extra effort to improve the dining experience. One way to achieve this is that owners monitor their staff and reward them accordingly. However, this is painstakingly difficult. An elegant solution devised by restaurant owners was to reduce the price of food slightly and leave the onus to the diners by announcing that they leave a bit extra if they are pleased with the service. Diners are perfectly positioned to monitor service quality. 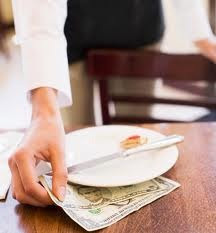 From a diners perspective his willingness to pay remains the same as earlier as the reduction of list price of the meal compensates for the tip. They are at an advantage since competition in restaurant industry makes it difficult for servers to exploit less generous customers by withholding quality service. Customers can always choose a different place to dine, the next time. Now imagine you go to your Immigration and Checkpoint Office (ICA) to renew your residency permit. ICA is what you would call a monopoly. If tipping was made customary, due to lack of competition, clerks would refuse to serve you without a generous tip. Thus tipping is illegal in services without market competition. Taxicabs are a popular form of public transport in most countries. In a small city state like Singapore, there is a total fleet of 25,176 taxis operated by eight taxi companies as of May 2010 , collectively completing 588,632 trips daily across the island (June 2005). 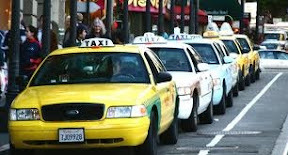 A typical cab charges a fixed flag down fee of $2.8-$3 and a distance ($0.20 every 385 m) and waiting time based fee. The obvious question that arises is, since taxis use an electronic mileage meter, wouldn't it be a lot simpler for the regulatory commissions to base fares only on the distance travelled. There surely must be an economic rationale that justifies the multi-part tariff. To stay in business, taxi owners must at least break even, covering all their costs. Some costs are roughly proportional to the distance travelled (say fuel, maintenance etc) but many others are not. Taxi operator licenses, Road tax (~6300 SGD/year) etc, are fixed costs irrespective of the distance travelled. The most efficient taxi rate structure is the one that leads consumers to base their taxi use decisions close to the extra (marginal) cost incurred by the taxis to provide the use. If taxis recovered all this cost using a single meter based fee, the per km rate would be significantly higher. This would discourage many long distance (high demand) users, even though the marginal cost (variable cost per distance) of serving them might be lower than what they were willing to pay. Thus a rate structure with fixed and variable components closely mimics the actual cost structure that most cabs confront. By keeping the per distance fee lower, passengers are not forced to pay more than the actual cost of longer rides and does not discourage heavier users for whom the benefits exceeds the true cost.